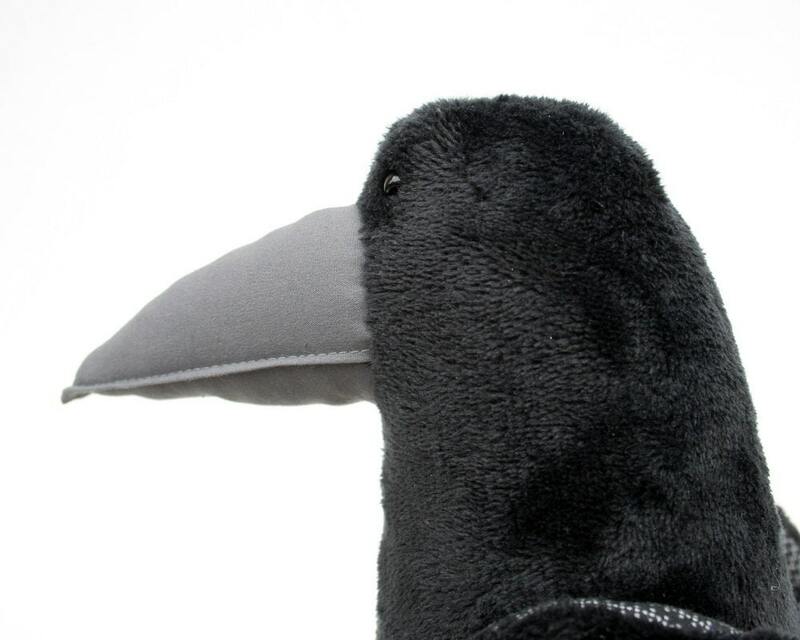 This cuddly soft Black Crow (or Raven, if you like it better) is a real winter bird. 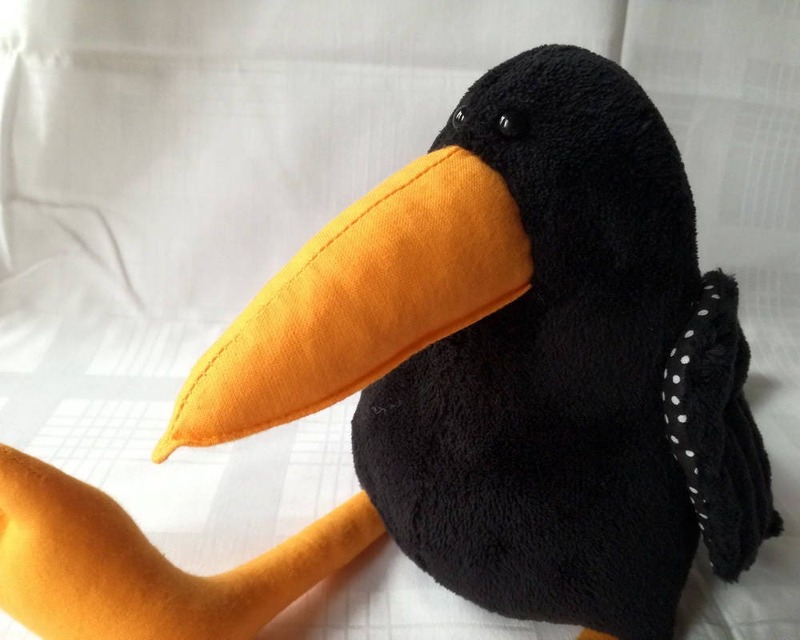 He is made of soft black furry plush and stuffed with polyfill. Legs and beaks are made of grey (pictures #1 and #2) or ochre (pictures #3 and #4) canvas - choose your favorite from the option list! 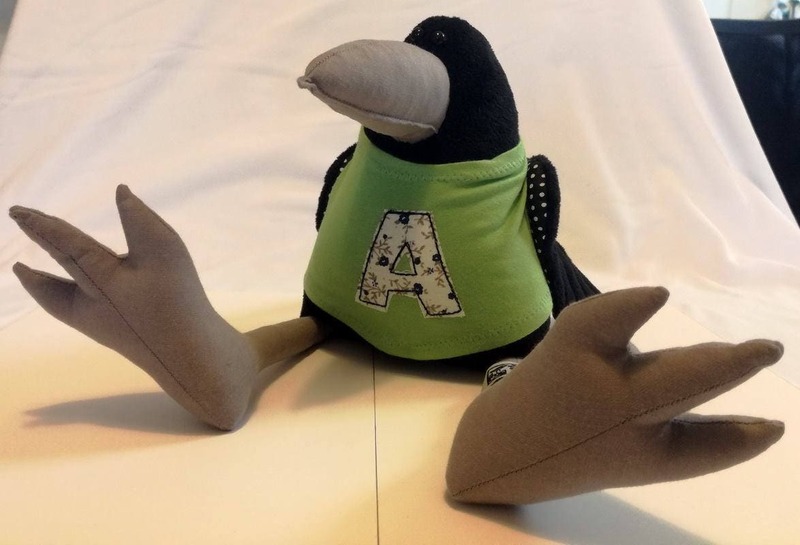 Back of the wings and tail are made of black polka dots cotton fabric. 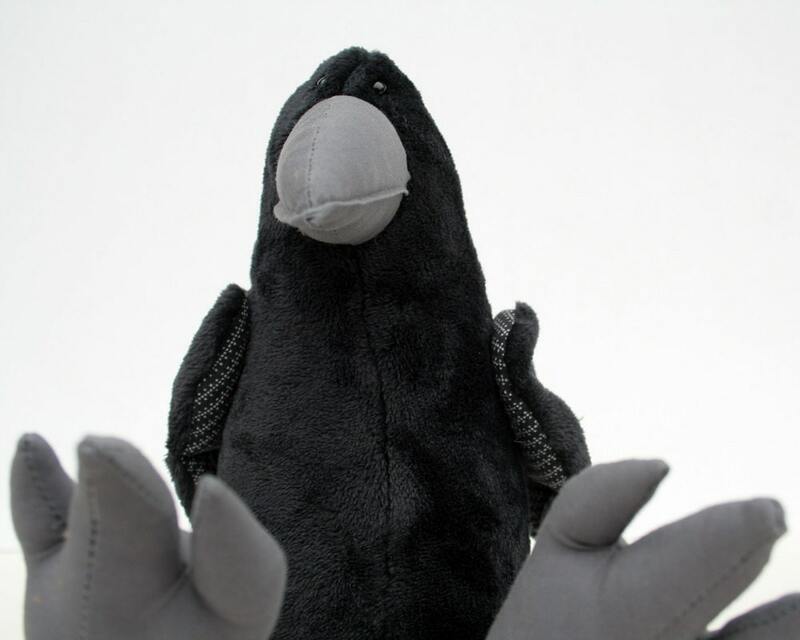 The eyes are made of buttons - don't give the Crow to a baby! The Crow is cca. 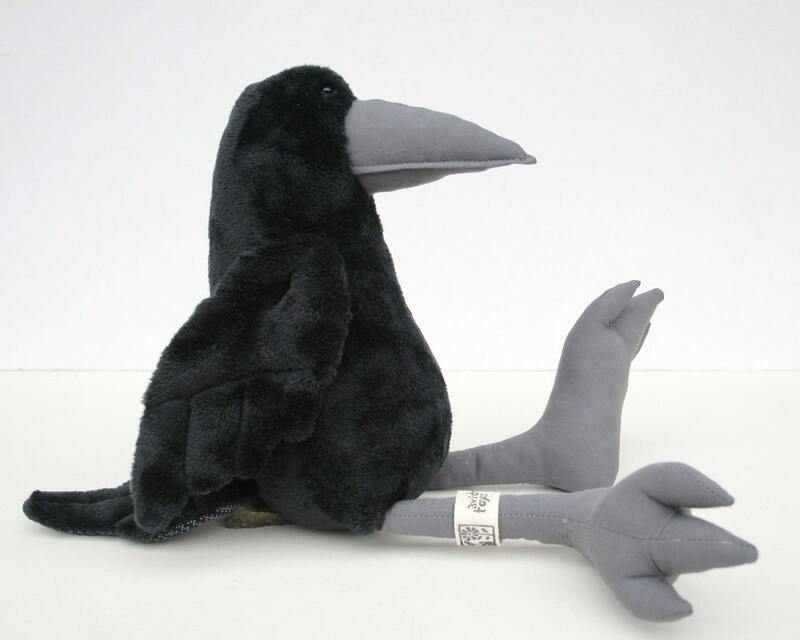 10" (25 cm) seated and he has extremely big legs and beak - as all real crows. I can put a big letter (ONLY ONE or TWO letters at the most, seriously!) to the sweater. Letters are the same as I use for my personalized dogs. 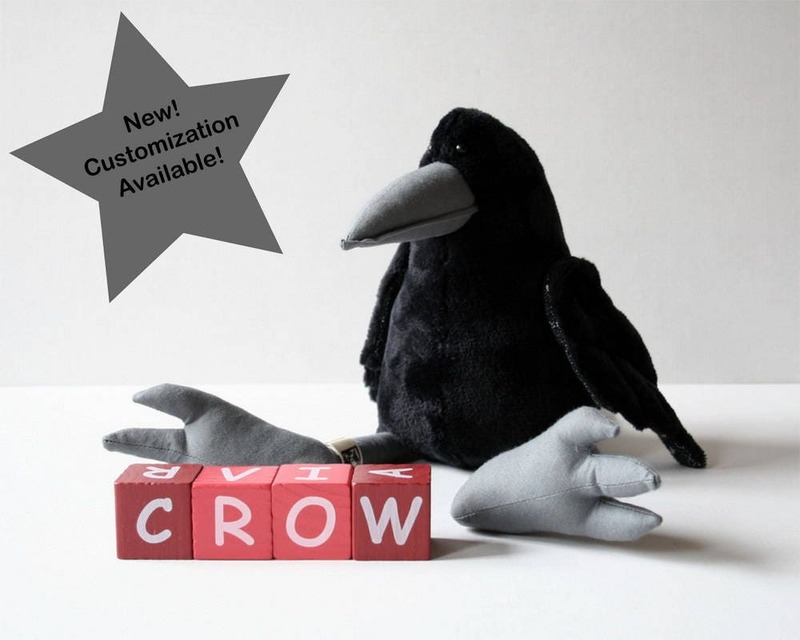 If you would like to have a personalized sweater for your Crow then please write the requested letter(s) to comment! Absolutely delightful! 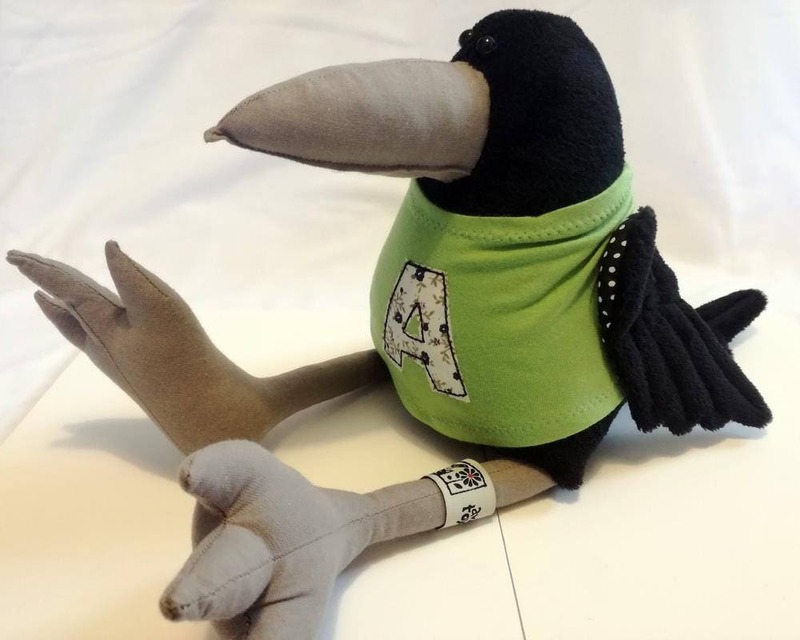 I’m thrilled with my new crow. Thank you so much! Love it. Great detail and craftsmanship, I particularly like the leg ring. 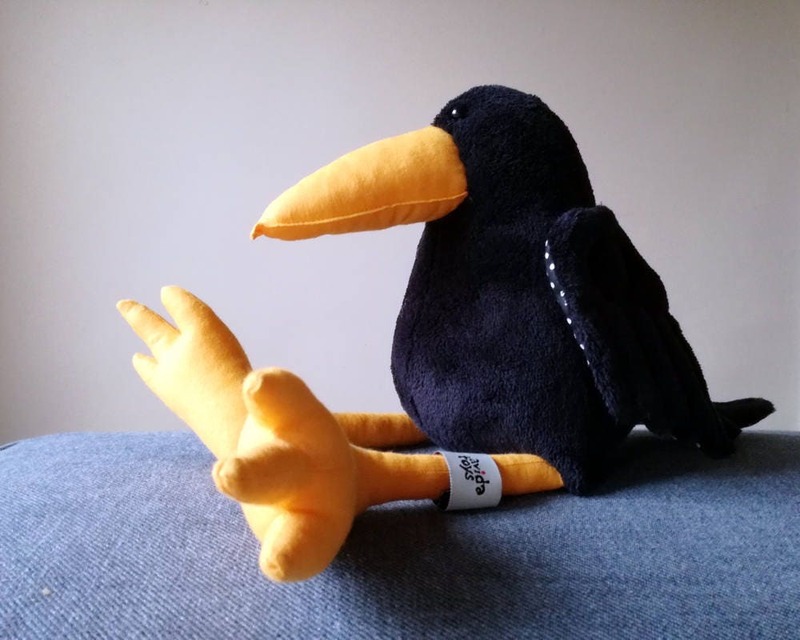 This is my fourth pal from Andrea, bought as a gift for my husband who always sees a crow or raven flying when we're in Scotland on holiday and thinks it's an Eagle! 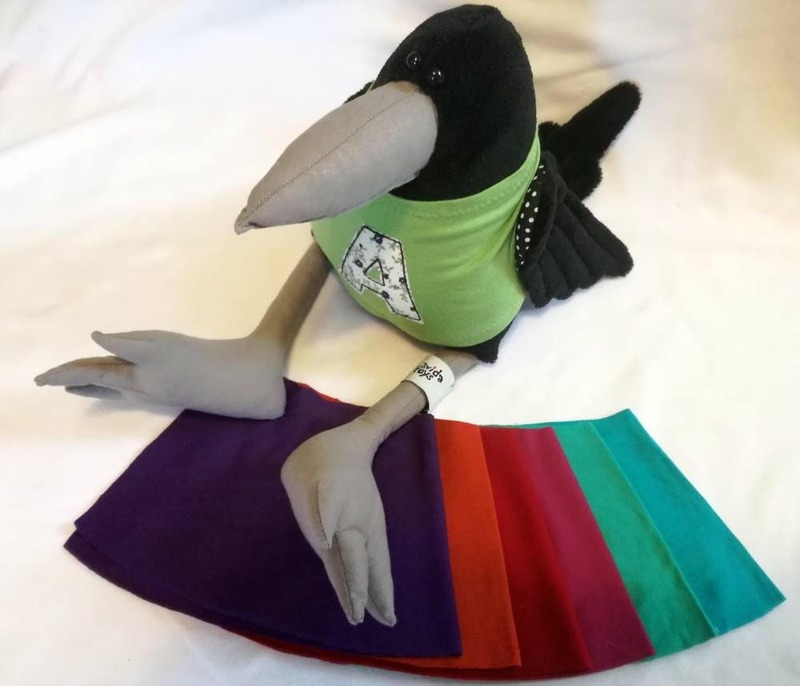 This crow has bags of character and with his coloured personalised t-shirt he's going to remind my Husband of his bird identity failings all year round! Andrea was also really helpful in the postage of this one so i'm really grateful and honestly can't recommend these toys enough, the characters are amazing and you can't just stop at one!